Welcome to the official support thread. Easy to implement Fog of War system for a Top Down game. Fog of War uses blueprints and post-process materials to create an effect known commonly in video games as a fog of war. In addition to simply displaying or hiding actors in sight, in allows for a clear display of players range of vision. All aspects of the fog such as range, angle of the vision cone and visibility of all objects can be easily adjusted with variables. Fog of War is a key element of many top down games, and now it takes only one minute to implement. To use the system you simply need to put the fog drawing actor in your world and add the fog controlling component to any actor that interacts with the fog (either by blocking vision or by changing its own visibility). Currently only one source of vision is supported (you can’t combine vision from many sources, but you can toggle between them). 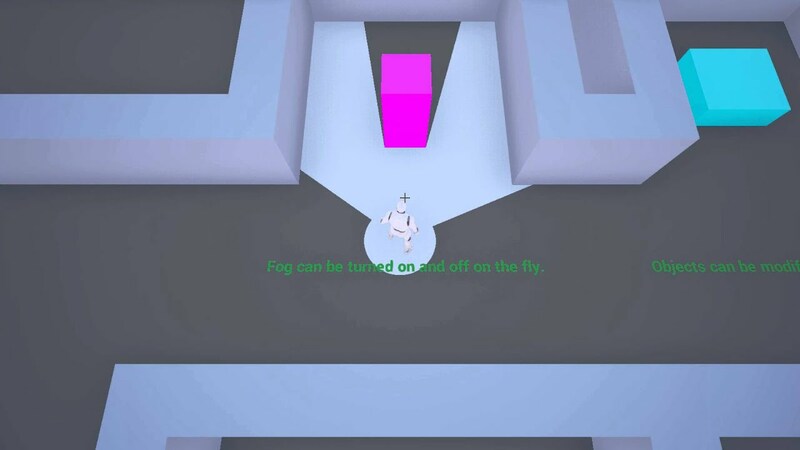 -Component controlling the interaction with the fog. -Material for the fog and the post-process effect. -Precise and optimized visibility checks. -Options to customize a lot of different aspects of the fog. Post your questions, bug reports and suggestions here. If you are making a game using my system feel free to post a link. I'm curious how it is being used. Last edited by Allshar; 02-05-2016, 09:06 AM. I have a question, if the floor isn't a flat, the circle of vision can self-adjust to the surface? In a ramp for example. Fog (shadow) is drawn on a single plane. You can move it up or down but there is no built in functionality for changing the angle. You could modify the system to do that. Would you mind providing a step by step implementation list? I have bought your project but can not seem to implement it in my project. Or even in a top down example project.